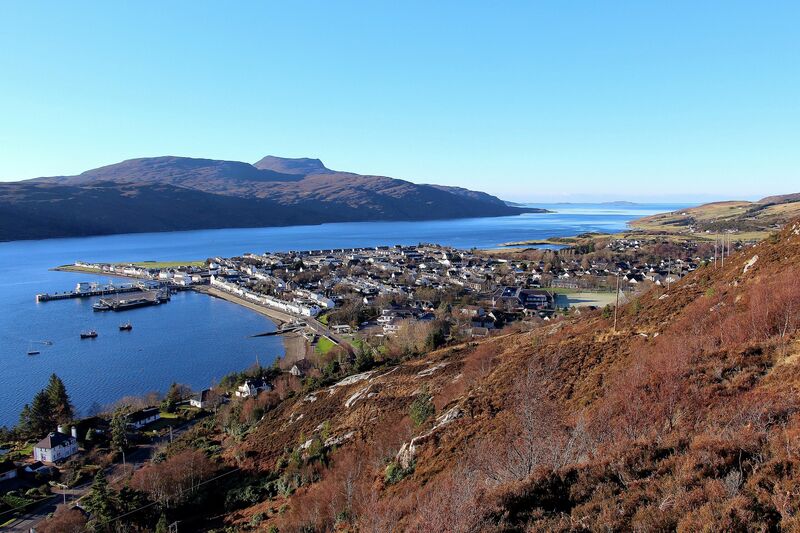 Ullapool has the highest levels of self-employment in Scotland, a study by the Federation of Small Businesses has found. Using 2011 census data provided by the Understanding Scottish Places project, the FSB analysed 479 towns and have produced an interactive map to show the differences across Scotland. They recorded 17.9 per cent of the working age population as self-employed. Portree has the fifth highest levels of self-employment in the Highlands (13.1 per cent) and is 16th overall in Scotland. The Scottish average is 6.4 per cent. FSB Skye and Lochalsh branch chairman Nigel Smith said: “It’s great that Ullapool, Portree and the wider Highlands punch well above their weight, though results obviously vary. FSB cannot explain away all the differences between settlements and we hope that our report will stimulate debate in government, councils and the wider community. “However, what we do know with certainty is that Scotland trails its competitors in the rest of the world on entrepreneurialism. We talk a lot about small businesses being the lifeblood of their communities, but we could and should do better. In addition to calling for improvements to essential infrastructure like digital and transport connectivity and for economic development budgets to be maintained, the FSB has produced a five-point plan to boost entrepreneurship in post-industrial Scotland. Social security and income protection: To help everyone, and especially people in the poorest performing towns, the Scottish Government should use its new social security powers to provide extra maternity, paternity and adoption support for the self-employed. It should also work with the insurance industry to help develop an affordable income protection product. Enterprise education: The Scottish Government should deliver the SNP’s manifesto commitment to educate every child about running a business. Utilising empty property: Councils should offer their long-term vacant properties free to local business start-ups to get them going. Asking more of universities and colleges: The Scottish Funding Council should allocate extra funding to all universities and colleges that successfully help graduates to establish new firms. Getting enterprise support working property: The next stage of the Scottish Government’s enterprise and skills review must look at the barriers to establishing a business in post-industrial Scotland. The newly launched, and FSB supported, Scottish Microfinance Firm may wish to target help at these areas.